It’s Cricut project time! For us as Explore™ users, our favorite thing to make is simple decor for our homes and special occasions. We love how much it brightens up a party or holiday and our boys take notice that today must be extra special, too. We made this Galaxy Garland for our craft lounge at Alt Summit last year, but love it as a little 3D decor for a nursery or play room! This Galaxy Suite has images like rockets, stars, planets and more and to give it an extra spacy feel we used fine glitter paper to cut them out on. Then once they were cut we made two small vertical and parallel cuts to the middles of each piece. That way when you string them up a little piece of the neon string shows through. 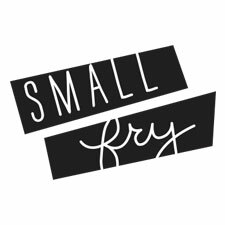 Find the suite right here along with all our other projects on our Small Fry Design Space! Download the Galaxy Garland all ready to print right here and Make it Now! Find all our Explore projects right here.